I have nothing against Hillary Clinton. But the American Federation of Teachers (AFT) endorsement of the former First Lady is strange in many ways. First, it’s awfully early. The initial Democratic primaries aren’t scheduled for half a year yet – February of 2016 to be exact. And the general election isn’t until Nov. 8, 2016 – more than a year away. Second, the manner in which this endorsement was reached is somewhat mysterious. 4) NOW the interviews are scheduled to be released to the public. This is a perplexing timetable. Why would the AFT endorse BEFORE releasing the interviews? Ostensibly, the executive council used these interviews to help make its decision. Shouldn’t that same information have been available to rank and file members of the union before an endorsement was made? The AFT has conducted a long, deliberative process to assess which candidate would best champion the issues of importance to our members, their families and communities. Members have been engaged online, through the “You Decide” website, through several telephone town halls, and through multiple surveys—reaching more than 1 million members. Additionally, over the past few weeks, the AFT has conducted a scientific poll of our membership on the candidates and key issues. The top issues members raised were jobs and the economy and public education. Seventy-nine percent of our members who vote in Democratic primaries said we should endorse a candidate. And by more than a 3-to-1 margin, these members said the AFT should endorse Clinton. 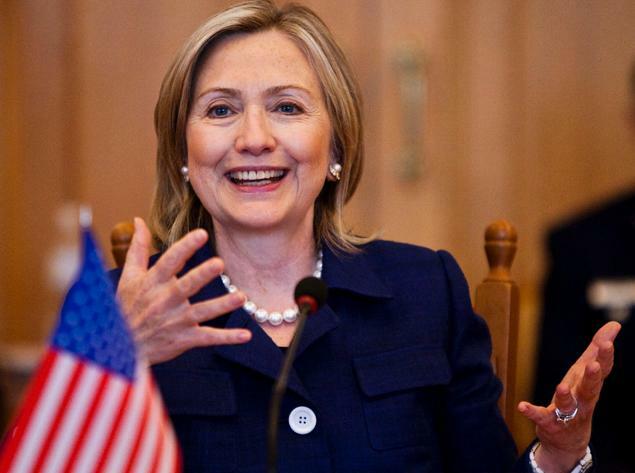 Clinton may be the Democratic frontrunner, but she isn’t a favorite for a lot of teachers. Chiefly this is because her education positions are not that great. Sure, she’s better than every Republican running so far. But she has stiff competition in the Democratic field – especially from Sanders. If Clinton had come out against Common Core, standardized testing and using student test scores to evaluate teachers effectiveness, I wouldn’t question the AFT’s endorsement at all. But she has been rather supportive of these issues – just like our current President, Barack Obama. Teachers are fed up with Obama’s education policies. Why would they overwhelmingly endorse someone for President who seems bound and determined to continue them? So I hope I’ll be excused if I ask for a bit more proof than a press release. Where exactly are the polls, surveys, etc. that show the Clinton support AFT leadership claims? For instance, which polls produced which results? The press release says AFT members prefer Clinton 3-1. But even if Clinton came out on top consistently, surely the results weren’t identical on every poll. Maybe she got 75% on one and 65% on another. The AFT hasn’t released everything, but the organization’s website gives us a memo about ONE of these phone surveys. This national survey of membership planning to vote in Democratic primaries found 67% picked Clinton. However, only 1,150 members participated! That’s a far cry from the more than 1 million cited in the press release. Moreover, there is no mention of what questions were asked. For instance, there is a world of difference between “Who would make the best President?” and “Who is most electable?” Is it possible there was selection bias present in the questions used to make this determination? But that’s only one survey. Where is the rest of the data? Where is the raw information from this survey? Where is the data from all these other outreach attempts and on-line activities? How many took phone surveys? How many took on-line surveys? And what were the results in each case? If union members really did endorse Clinton, that’s fine. But many of us would like to see the proof. I’m not a member of the AFT, but I’m on the mailing list. I never received any survey. A lot of my friends are AFT members, but none of them recall any survey. As a member of numerous education and teaching groups, I know of no one else who admits to being polled either. In fact, I haven’t been able to find ANYONE who was polled on this issue! I admit that’s not exactly scientific. But that’s why I want to see the data! Blind me with science, AFT! I believe in teachers. I believe in Unions. I believe in Democracy. Please release the raw data, AFT, so I can believe in this endorsement, too. The AFT convention opens shortly. Randi and the Executive Board’s endorsement of Hillary Clinton is an end run to head off growing support for Sanders among AFT members. Exactly. I am concerned about the words “working families” weaving their way into AFT pro-Clinton narratives…as an end run to try and pull WFP endorsement away from Sanders and send it to Clinton as well (the way it was done w/ Teachout vs Cuomo). Depends on whether you want to back a winner in the general election or a loser. Hillary will win. Guess the AFT chose to back the winner who has a track record of backing education. They backed a loser when Hillary lost the nomination the last time. She will be the loser again and Bernie is definitely much more popular with people than Hillary after they see where he stands on the Issues. Real Clear Politics might offer an even clearer picture of the moment in Election 2016 Presidential Polls. As we know, popularity in presidential races can change drastically over time and we are a long way off from the election. The problem is that we are getting all this info from the polls state-to-state and the numbers change drastically from one state as they do week-to-week. For instance, in New Hampshire, Bush is leading with 16 and Walker has 8. And then they changed their endorsement to Obama when he won the primary. Note for the factual record: Bernie is NOT more popular with the people than Hillary. Not by A LOT. Check data. Real ClearPolitics poll, October 22, 2011: Hilary Clinton 48.5, Barack Obama 21.2.
Who are we to assume that the current polls are likely to predict the nomination? Emiiy… Do you recall the person AFT supported in 2008? She lost. Obama won. We lost 8 years. The UFT in New York supported Pataki against Carl McCall. Pataki won. We lost for 8 years. Bernie Sanders is the man to support. But why not wait for the debates? Because voting for your master on a secret ballot will surely inure them to you instead of the aristocracy. Are you a phys ed teacher or something? I’m AFT. I got a robocall asking me which candidate I wanted them to interview. I said Sanders. That wasn’t too long ago. Then I didn’t get any other calls, surveys, etc. next time I’ll know about the website. But four years more of these policies it may not even matter. The time for Sanders is now! And AFT rank and file would be wise to override the endorsement with action. I agree wholeheartedly with all of your statements. I am an AFT member and a UFT member and I’ve not ever been polled by the AFT. I am voting for Bernie anyhow! Well, apparently OUR voices, as AFT members are NOT essential to the decision making of the union itself. AFT did NOT generally poll its members. AFT did NOT even organize local unions to take straw polls of members. The membership of AFT is clearly NOT behind a Hillary endorsement this early in the game – yet the media narrative is trying to make her into a “fait accompli” in order to prevent any serious challenge against her. In the early 1980s, the local union for the district I was teaching in voted to go out on strike over a planning period at the district’s three middle schools where we taught more than 200 students each for six periods a day non-stop with no breaks. The REA (Rowland Education Association – affiliated with CTA, NEA) president at the time, a classroom teacher herself, announced that the vote did not support the strike and that was the end of that for a few more years. A few years later when the contract came up for renew again, the planning period was back on the bargaining table with the district standing its ground that teachers didn’t need planning periods and teaching six periods with more than 200 students teacher was as easy as breathing. The district administrators went so far as to say we could teach, plan and correct all student work before going home and have all of our weekends free—all within an eight hour day. At the time I was working 60 to 100 hours a week and struggling to keep up with all the work. I became one of the two union reps for the middle school where I was teaching and started attending the representative councils. The old president was out but she was still on the rep council. The new president granted our request–me and the other rep from our middle school–to recount the ballots from the last strike vote a few years earlier. The old president would have probably denied that access becasue of what we discovered. The 700 some odd ballots from every teacher in the school district were kept in a file and we sat down and counted them all to discover that the strike vote had won by a dramatic majority. AT least 70% of the teachers in the district had voted yes that we should strike to support the middle school teachers so they would have a planning period and only teach five periods a day. We took our findings to the new president. He convened an emergency meeting of the executive council—the old president was a member—and the majority decision was that if we went public with the fact that the old president had lied, it would destroy the union. The old president was asked to defend herself and she said, she felt it was in the best interests of the union if we did not strike so she reversed the numbers in her report to the membership. She also was asked to resign from the rep council and she did. The new president promised to stand his ground and fight to the end to get the middle schools their five period day and planning period if we didn’t spill the beans. Needless to say, we got our planning period—it took awhile—and it came up to the day before the union was ready to strike and walk out of class. The district caved and lowered class sizes average of 34 (yea, thirty-four) a class from no limit before and we ended up with a planning period and teaching five periods a day instead of six. What you went through is horrendous. I taught for 36 years and we also went through a lot of nonsensr. with the Union leadership. Randi Weingarten took over for Sandy Feldman in NYC. She supported Gov. Pataki against a pro teacher, pro labor liberal. CArl McCAll. We went through 8 years of nothing but horrible relations with the governor. We also taught the Mayors that came into power that we had no leadership to fight their arbitrary dictates. Joel Klein became our Chancellor (yes, that Joel Klein. The deputy attorney general for Bill Clinton) They are all in cahoots. It is a shame we pay dues and get treated like this. But one day an investigative journalist will check out her leadership and see what corruption is going on. Answer: No, the AFT rank and file did not approve of Hillary Clinton. We weren’t asked. This is an executive board decision, heavily influenced by Randi Weingarten’s membership on the board of directors of Priorities USA Action, a Hillary super-PAC. That’s just the way things are done. I am on every union email list, and nobody asked me. having a progressive democratic candidate. extra contribution to Bernie Sanders. endorse Hilary Clinton. WHY IS THAT? Well put. Difficult to have someone take the right to share your opinion when they intentionally present something far different. As soon as the SCOTUS says I do not have to be in a union, I am dropping out of the AFT. I can save a lot of money, use my own personal lawyer if/when I have issues with my employer, and can be away from a group of people who do dirty backroom deals for Democrats when I am a conservative Christian who leans Republican. Thus far, Donald Trump has my vote. Hillary has my vote, FOR PRISON! You must be really wealthy to have your own personal lawyer to defend yourself from abuse by your employer. Most teachers don’t have that kind of money. I know I didn’t during the 30 years I was teaching, and when I was attacked by the district administration for standing up for my journalism students when they were accused wrongly of plagiarism by a power hungry principal, who ended up losing and having his contract cancelled by the school board three years early. I know the students were wrong because I’d see all the signed statements by the witnesses to student body election results but that principal laughed at me and said those statements would be dismissed in court by a judge. He even refused to look at the signed statements of several witnesses who saw the ballot box being stuffed by the boyfriend of one of the students running for a campus office. But when I sat down with an elected school board member and let him see those statements a few months later, he didn’t feel the same way. I’m glad the union was there to offer me legal support when I needed it. School Master, let me just clarify one thing: I may be criticizing the AFT, but I am pro-union. They aren’t perfect but we’d be in a world of hurt without them. Some parachutes may be cheaply made, but I’m not jumping out of a plane without one. And Trump? Really!? Hillary is a much better choice than him. What does he have to offer education policy? And is he really trustworthy? I never imagined teaching in a public school might become like being on The Apprentice. Yuck. Most of the discussion so far centers on K-12 teachers. Hillary is even less of a proponent for higher education. She is heavily supported by Wall Street and banks which have a vested interest in keeping student loans as they are. in other words, in promoting and maintaining student debt.She has not commented on proposals by Bernie Sanders, Barack Obama and others to make public higher education free as much of it once was. And we have no idea what her positions are on the issue of contingency among higher education faculty, 75% of whom are not tenured or on the tenure track and have little or no long term job security and are not given the resources needed for student success. Most are adjunct faculty who are hired course by course and paid a fraction of what full time faculty are paid and given no benefits. It would have been prudent to wait, first to see what her positions are, and second, to see who else might announce as a candidate. The choice of Bernie Sanders is instrumental to progress in this country. Bernie has an education record that makes Corporatist Hillary celebrity status burn out. We need to listen to the members and hold off on our endorsement and get more leverage and debate. I am with Bernie.